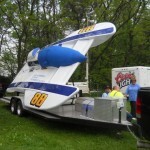 Greenwood Lake Boat Races 2011 with Untapped Energy. Untapped Energy at Pure Nightclub. Untapped party at Lana Lounge. MMA Event with Untapped Energy. Nu Rock Bar Tatoo Party with Untapped Energy. Photos from the Black and White Party with UnTapped Energy at Water Taxi Beach.